Sharing a very simple recipe prepared in Kongunadu area for idili/ dosas. Anyone from that area would definitely have tasted this. I get reminded of my home very much when ever I prepare this. 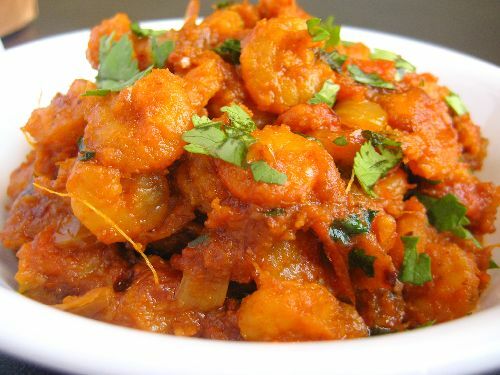 I love this as a side for plain dosa. I sometimes grind tomatoes instead of chopping and frying. So try it both ways and see which you like best. Adding cloves and cinnamon is optional. Grind the items given in the “To Grind” section to a smooth paste. Chop onion, split open green chili. Chop coriander leaves. 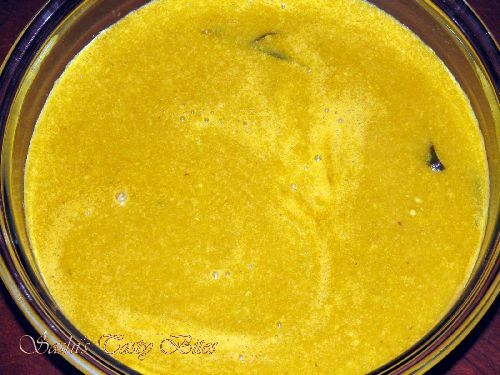 In a pan heat oil, add mustard when mustard splutters add the cinnamon, cloves, curry leaves and green chili. Add the onion and fry till translucent. Add the tomatoes, turmeric and cook until it’s soft. Add the ground paste and boil for 10 min in medium flame. Add the salt, coriander leaves at the end. 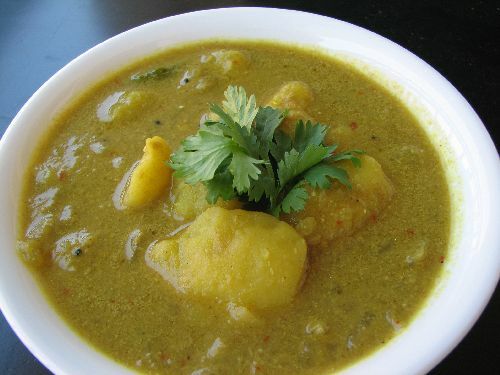 (*) Enjoy with plain dosa/ idili. Turned out exactly the way I wanted :) thanks!! Made this recipe today. It came out fantastic! My Mom is from Erode and my Dad is from Sathyamangalam and I grew up on Kongu Nadu cuisine. But being an ABCD and living far from my parents, I have had to teach myself to cook the food that I grew up on. Your website is god sent. Much thanks and keep the recipes coming!!! Deepa, delighted to hear that.. Thanks for ur words!! 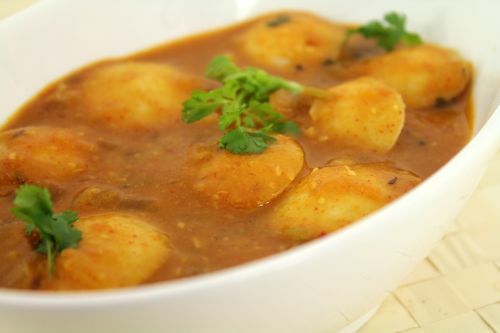 Hi Sashi..Have tried your takkali sambar was great with idli…will try other recipes of yours and post on it..thanks for sharing. Will it be great with rice as well?? this one came out good but was a little thick…can u just say wen and how much water can be added? Anita, If it’s too thick try adding a cup of water. I like your recipes, thanks a lot. It helps me to cook nicely for my family. Can we try without poppy seed, that would make any major taste difference? The taste varies if u add or dont any ingredients. But I sometimes try without poppy seed.. it tastes good too. 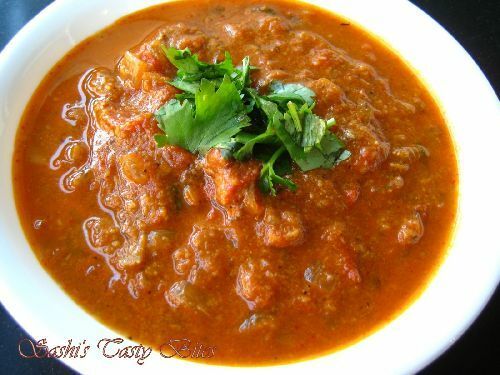 Yummy yum sambhar.. Loved the simplicity of it. My MIL makes this often..
Hi,this is the first time in ur yumm blog of recipes.This Thakkali Sambar luks super good.Luv ur recipes.Happy to follow U. 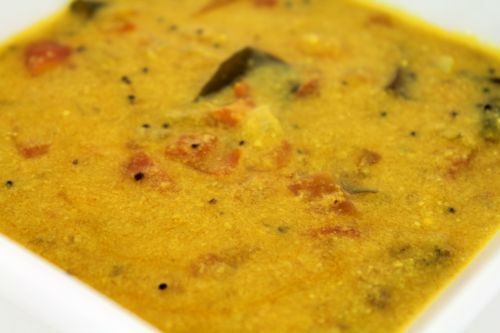 Its just kulambu and not sambar as it doesnt have any boiled dal in it.. However i like this recipe.. Thanks for sharing. 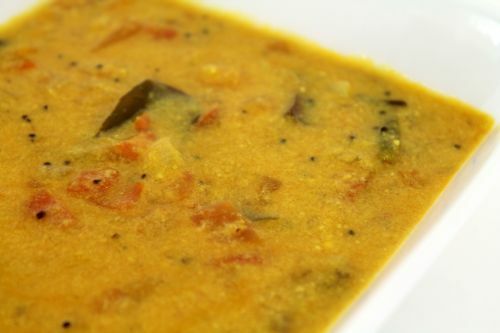 No Dhal is required for this Sambar? Eswari, no dhal in this recipe !!! My fav anytime,just love with anything..